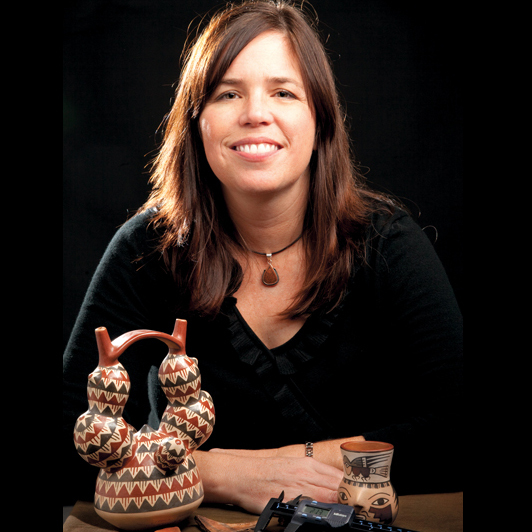 Christina Conlee is with the Department of Anthropology, Texas State University at San Marcos, and holds her degrees from the University of California at Santa Barbara (Ph.D. and M.A.) and University of California at Santa Cruz (B.A.). Her research interests are complex societies, foundations and relations of power, state collapse, ceramic analysis, migration, mortuary practices and human sacrifice, isotopic analysis and Andean prehistory.